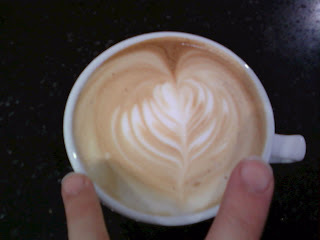 Blue State Coffee Latte Throwdowns: Week 14 - Team Latte Art! This week the winner will come from the TWO best pours from any two people at one store. Submit your photos, and, the store with the best from two people will take home the $20. All shots must include two digits.